I love my Twitter PLN! Today I created a video with the very fun app for the iPad (and iPhone and iPod Touch) called SockPuppets. I had a special reason for using it and purchased extra time to make my video longer than the 30 seconds that they allow. The output options in SockPuppets are to share to Facebook or YouTube. I needed to get the video up to YouTube, so I thought I was all set. However, I got an error message whenever I tried to send the video to YouTube. I figured I could solve it with a little research. I did some searching, and could not come up with any posts of others having troubles. I then went to the app creator's Web site and looked in the Knowledge Base and FAQ's.Nothing there. I did a chat session with tech support at the company's site, and was told I probably needed to set a setting in YouTube that would allow uploads from third party apps. I looked through YouTube and found no such setting. I then put in a request to the YouTube team for help. I posted my first note to Twitter asking someone to try to do the same thing so I could see if it was just me. Of course, I am retired, and everyone else was actually teaching, so I did not get any responses. I tried it on the iPhone with the same resulting error message. I decided to share the video it to Facebook, which worked well, and then used the new version 2.1 of Camtasia for the Mac to record the video from Facebook. I then moved the resulting screencast to YouTube. I posted another tweet asking for help and got lots of responses. Some of my PLN members even took the time to download the app, create a video, and try the upload. Below are the responses I received. The results were mixed, and I could still not figure out the problem. 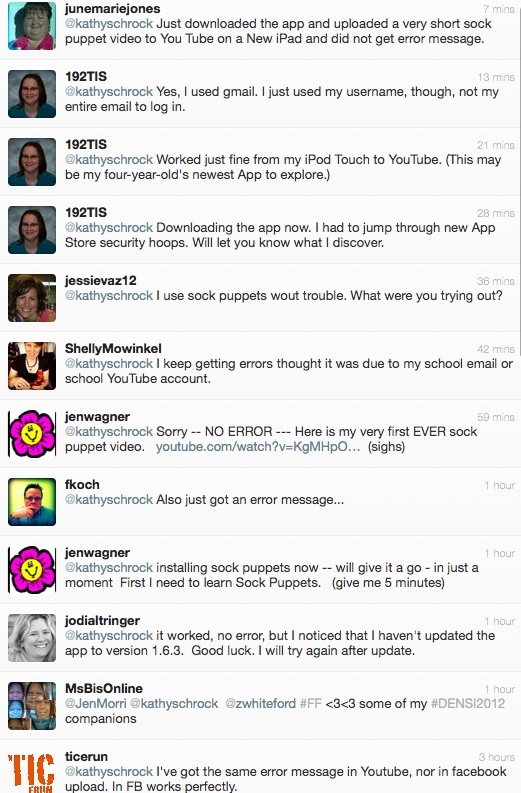 Jen Legatt (@192TIS) was a new user of SockPuppets, so, when she told me it worked for her, I asked if she used a Gmail address when the app asked for log in information to YouTube. You can see from the above conversation that she told me she had used only her USERNAME, not the full Gmail address. Doh! I went back and looked at the sign-in screen in SockPuppets and it did just say enter your YouTube username and password, not your Gmail address and password. Geesh! Once I put in only my username for YouTube, not the entire Gmail address, it worked like a charm! I spent most of the day figuring out how to make this work and searching and asking. And it was one little follow-up question to one of the great educators that were helping me out that provided the answer! 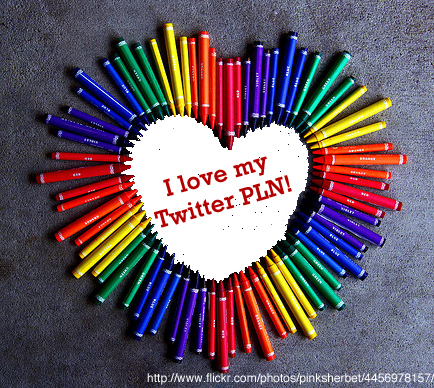 I love my Twitter PLN! More cool stuff from BoxWave! Derek Gillette, a Marketing Coordinator at BoxWave, sent along two new tech items for my review. Thanks, Derek! 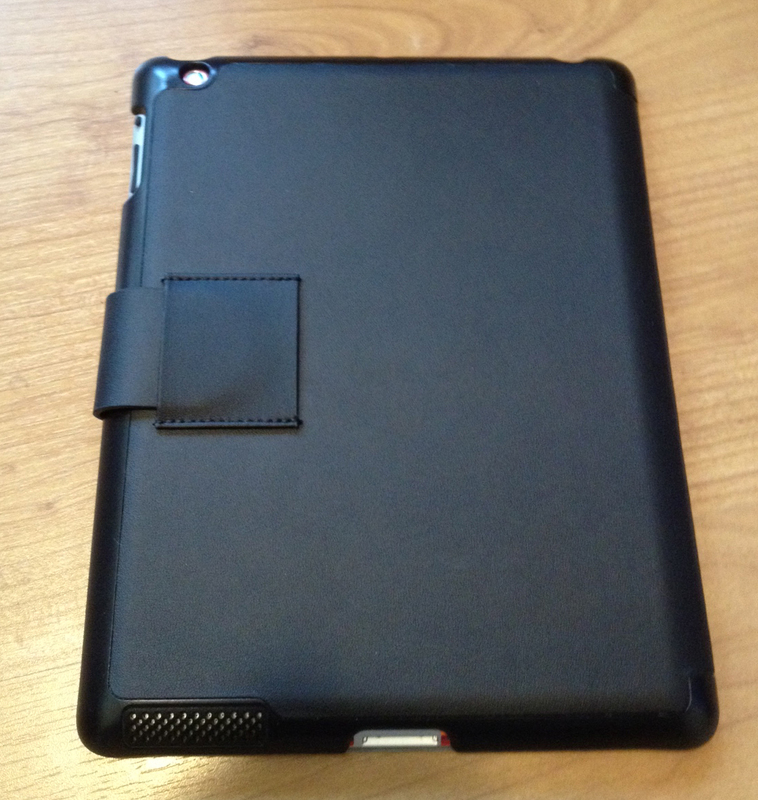 The first is the Nero Leather Smart Nuovo iPad Case, created for the 3rd generation iPad. (I see there is also a red version, which I am craving, and a cool white one to match those of you that have the white iPad!) This leather case is available for $39.99, with free shipping, on their site right now. The regular price is $59.95. This case was definitely created for the newest iPad. I have a couple of other tight-fitting, snap-on cases that were made for the iPad 2, and the new iPad does not snap in perfectly to those cases since it is a tad thicker. 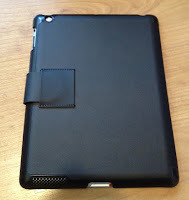 The new iPad snaps firmly into the Smart Nuovo case's back. I also have a skin on the back of my iPad and it still fit in tightly and firmly. The case has all the cutouts needed for the sync cable, headphone jack, microphone, camera, access to the top and side buttons, and has a nice grill across the speaker area which keeps that area safe from scratches. The Smart Nuovo case is called "smart" since the cover is a smart cover that turns the iPad's display off when it is closed and turns the display on when you open it. I use one of Apple's Smart Covers, but, with this case, there is no need to! 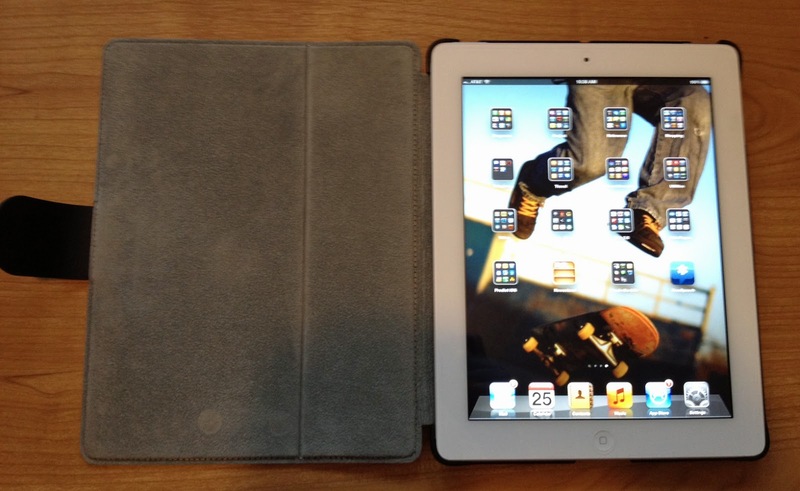 This case truly protects the front and back of the iPad while adding very little size and "heftiness" to the iPad. The Smart Nuovo iPad Case closes with a leather flap, and the same leather flap is used when you fold back the cover and use the case as a stand. (I am not a big stand user, since I hate getting the inside lining that protects the screen dirty by propping it on a table.) However, for those of you that are not worried about that, the stand puts the iPad at the correct angle for viewing and typing on an external keyboard. The second item Derek sent along was the Universal EverTouch Capacitive Stylus. As one who owns various styli, I was interested to see that the stylus tip of the EverTouch stylus was made of a woven fiber rather than the other types of rubber or felt-like tips on the styli I already owned. The cost online right now is $12.95, with volume purchasing available. The regular cost is $24.95. It comes in orange, blue, black, red, and silver. The Evertouch Stylus body is aluminum and very light. It also comes with three different types of lanyards. There is a lanyard to attach it to your keychain or neck lanyard, there is a lanyard that allows you to plug it into the headphone jack on your device so you always know where it is, and the unique lanyard was one with the same headphone jack but it had a coil that allowed you to use it while it was plugged into the headphone jack. The third lanyard was the most handy and gives you the least chance of losing the lanyard. It worked best while holding the iPad in landscape mode. Addendum: I got so caught up in the cool tip and lanyard I forgot to mention the stylus' performance! It worked easily and without fail for selecting, drawing, typing, and writing. If you or your school is interested in educational/volume licensing, drop Derek Gillette a line!